Yes, it's two weeks late, but better late then never, right? 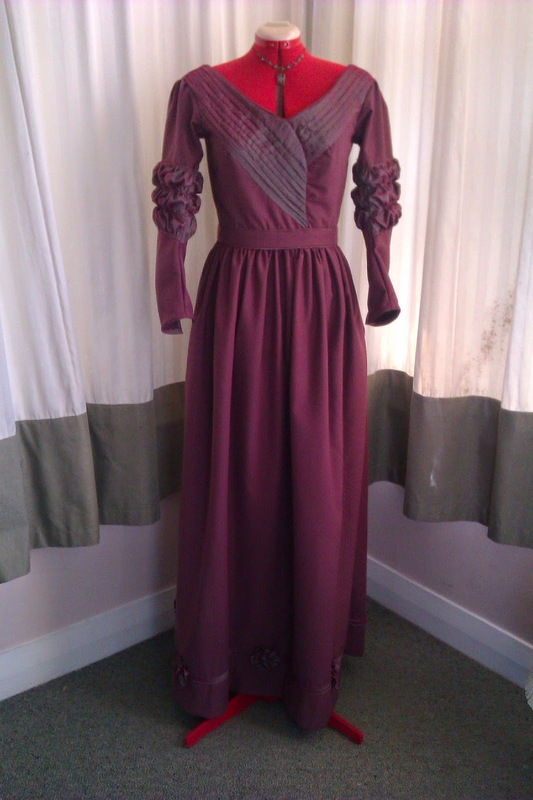 Here is my late-Regency/early-Victorian mish-mosh of a dress. As mentioned previously, it's from Butterick 5832, although I took some liberties with it. Love how the match of the contrast fabric worked, and I also refined my piping-construction skills. I have enough of this material to make another dress too. Love when that happens, means you're not putting all your creative eggs in one basket.